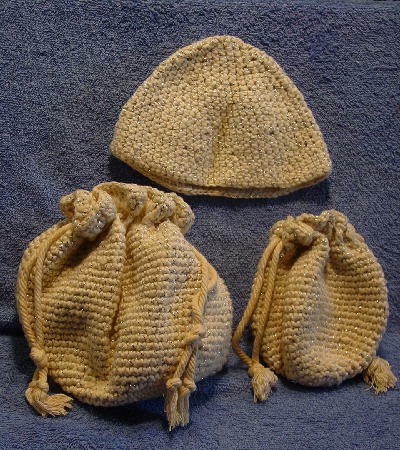 These 2 vintage knit purses and matching hat are in an antique white-cream color with metallic silver accent threads. 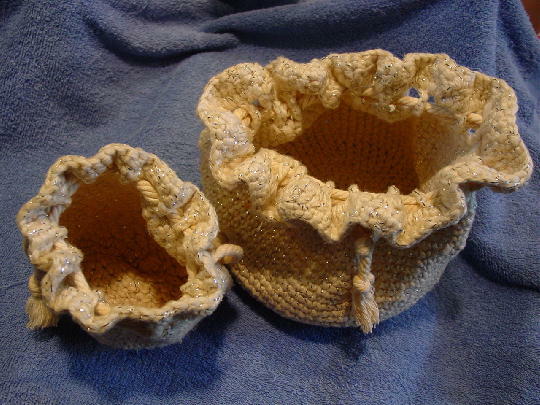 Both purses have drawstring closures and the interiors are unlined. 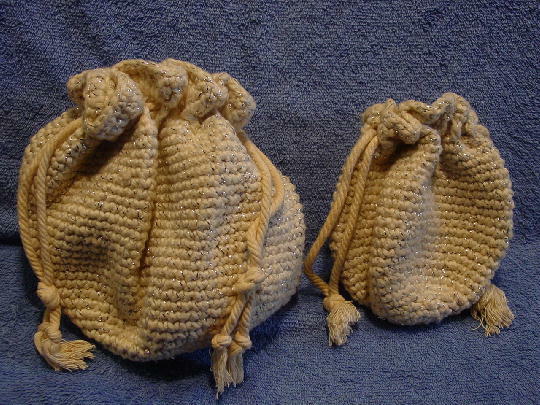 The drawstrings have more of a dark cream with a touch of rust color. 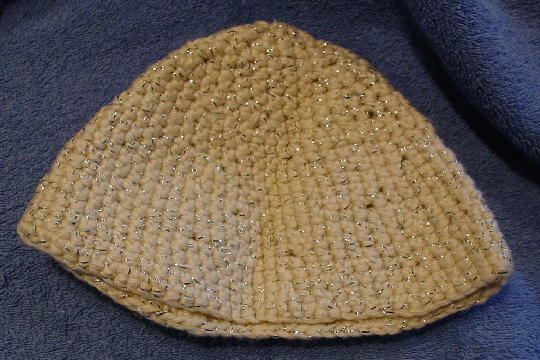 The matching hat has a 1/2" by 1/2" open triangular shape area at the top. You can wear the larger purse during the day and the smaller purse for evening. Or mother and daughter can wear them. All three were worn in a photo shoot.